New Book, Free Book, Book On Sale! When I first moved to Mobile, Alabama from the Mississippi Gulf Coast, I fell in with a bunch of writers. I have some hysterical stories of our meetings in various restaurants—where we were sometimes invited to move along because we’d been there too long! I have a vivid memory of one of the writers enacting a scene that I’d written that included an 18-foot alligator. Jan got on the floor with the sofa cushions and wrestled them into submission to demonstrate that the alligator was too long. And then there was the time Jan choked on coffee and Susan had to perform the Heimlich Maneuver. When we had finally worn out all the restaurants in Mobile, we moved the meetings into our homes and the host cooked dinner. I ate some very fine meals with these women. And we drank wine, laughed, and worked on our writing. These are some of the best memories I have of my time in Mobile. We had all kinds of interests as readers and writers, but the one thing we wanted to be was published. And through critique group arguments, rejections, hard work, and a love of story, we are all now published authors. There was originally four of us, The Deep South Writers Salon. We named ourselves, tongue in cheek, and for over sixteen years we met every other week, critiquing each other’s work. Only death or dire illness made any of us miss a meeting. Susan Y. Tanner was one of the DSWS originals. I met her through her sister, who worked in the front office for my veterinarian, Dr. Karl Smith. Janice told me that Susan had written several books but put them under the bed. Janice wanted her sister to believe in herself, to at least send them to an agent. I read her fabulous writing and completely agreed. After I was published, I started teaching an evening community writing class, and Rebecca Barrett showed up in my class, along with a curly-haired dynamo named Jan Zimlich. These are the writers, along with Susan, who formed DSWS. 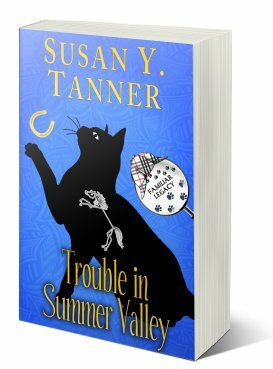 Today, Susan’s book, TROUBLE IN SUMMER VALLEY, goes on sale. (Like all the DSWS writers, she is published in a number of genres.) It combines her love of mystery, romance—and HORSES! Susan is writing a series within the Trouble series and her future books will involve Summer Valley and the ranch and horses. Susan and I both share a passion for the equine. 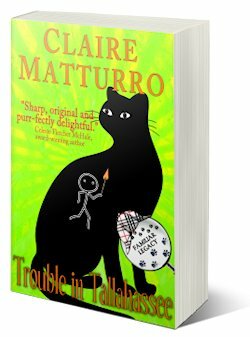 Her book is the fourth in the brand news series featuring Trouble, the black cat detective. Rebecca’s book, TROUBLE IN DIXIE, is the second in the series and is available for $3.99. And my book, FAMILIAR TROUBLE, is now FREE. Claire Matturro, who wrote the 3rd book, TROUBLE IN TALLAHASSEE, wasn’t part of DSWS, but she should have been! As a lawyer, Claire might have kept us out of some of the trouble we got into! Then again, I believe I could have corrupted her. Check out her book too. We will have a free Christmas story by Rebecca for all the readers, and the 2018 publishing schedule for Trouble nooks is almost full. Next year is going to be WILD. Lots of Trouble, two Sarah Booth books, more Raissa and Reginald—and who knows what else. In other book action, THE BOOK OF BELOVED, set in Mobile during the 1920s, is on sale for $1.99. The book is a paranormal, historical mystery. (I love stacking up those descriptive words!) 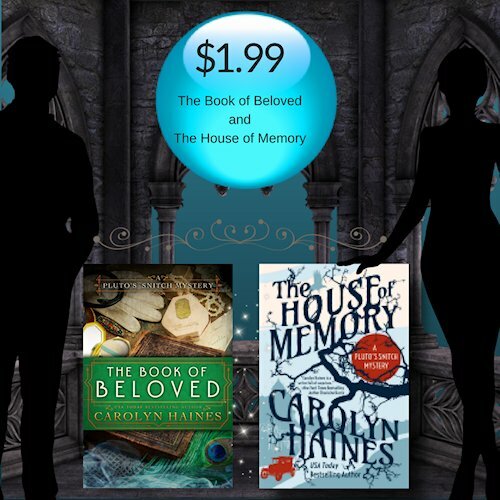 The second book in the series, THE HOUSE OF MEMORY, is also available for $1.99, and soon the 3rd book, THE SPECTER OF SEDUCTION, will be up for sale. I get a lot of mail from readers who want more books. Get ready, because Santa Carolyn is fulfilling your wish. And it isn’t even Christmas! Thanks for supporting me and all writers. Tundra the white dog sends you a big, sloppy kiss.